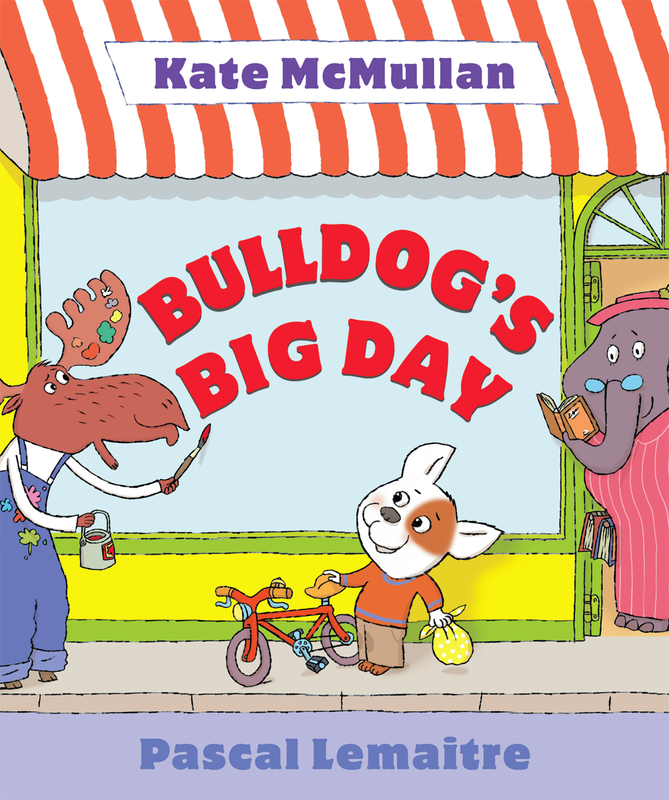 What’s an out-of-work bulldog to do when he’s too afraid of heights to wash windows, too allergic to flowers to assist a painter who’s capturing their beauty, and too enthralled by books to shelve instead of read them at a bookshop? 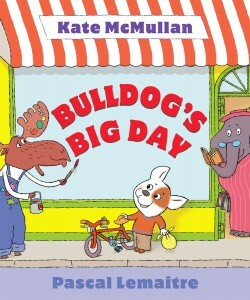 In Bulldog’s Big Day by Kate McMullan and Pascal Lemaitre, slated for release in February, we discover the answer is to open a cookie bakery! Work is portrayed not as something you have to do, but something you want to do. Not only do I admire Bulldog’s entrepreneurial spirit and desire to contribute to his community, but I love love love that the recipe featured in the back for Bulldog’s Oatmeal-Carrot Cookies is vegan and, as the name suggests, incorporates veggies. (The author even points out specifically that they do not contain eggs.) Many veg families will already have all the ingredients in their pantry — the only one that may require a trip to the market is coconut oil.